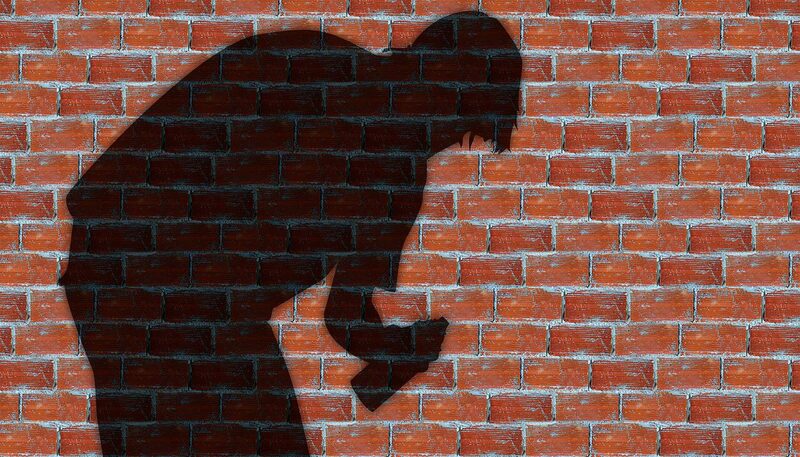 Home » Blog » Is your content breaking the law? Here are some commonly believed ‘facts’ about the internet. If you need a picture for your website or for a presentation, you can just copy it from Google Images. If you want to protect something, you have to ‘copyright’ it. Once someone publishes something in the public domain, it is free to be re-used. You must ask someone’s permission before you can link to their website. All of those assumptions are false. If you believe any of them to be true, that is probably because you have taken common behaviour – “everybody does it” – as a benchmark for what is legally allowed. This article is for the benefit of everyone who doesn’t know anything about copyright, as well as for everyone who thinks they know but who has never really looked into it. Can you republish images that are in Google Images? The answer to this is always no, unless you have been given permission by the owner of the image. Google does not own the images it shows – the search engine simply collates what is available on millions of websites. I find it so surprising that people don’t get that, but so many people don’t. In reality, copyright ownership is often hard to determine. You may follow your nose from Google Images to the hosting page and see the copyright notice on that site, but that does not mean the image on that site is owned by the same person who owns the copyright for the website. Do you have to register copyright for your own images? No. In the UK, copyright ownership exists as soon as you create something. If you write an article, take a photo, paint or draw a picture, you own the rights to that work – unless you are fully employed by someone to create that work, in which case your employer will hold the rights. To read more about UK copyright law, see here, because there are lots of variants to who might own something and why. The problem with copyright is proving you own something. Just painting a picture may not be enough. Some method of proof may be needed. You could take a photo of your painting and post it to yourself, then not open the letter. That would prove the date – and of course you would own the photo, too. Can I copy an article from Wikipedia? Wikipedia is probably the most-copied resource in the world, but there are rules to follow. In its own guide to re-using Wikipedia content, the site says content “can be used under the terms of the Creative Commons Attribution Share-Alike license”. Essentially, this means, in Wikipedia’s own words, “You may copy and distribute the Document in any medium, either commercially or noncommercially, provided that this License, the copyright notices, and the license notice saying this License applies to the Document are reproduced in all copies.” That text is taken from section two of the GNU Free Documentation Licence. The most important two things to remember about copying other people’s work are attribution and substance. If someone is quoted in an article in The Times, the copyright in the quote is owned by the speaker, not the newspaper. So you could legitimately quote the speaker without attributing it to the newspaper, but it would be a courtesy to say “he said to The Times”. The question of whether you are free to use a quote at all depends on how substantial it is. Many people think you are free to copy anything as long as you credit the source. If that were true, I would be able to just copy Jeremy Clarkson’s column from The Sun and paste it into a Red Rocket Media page, saying that it came from The Sun. When copying work without prior permission, you have to consider whether you are copying a substantial part. Substantial would be the well known hook of a popular song, being sampled for another track, or the first verse in a famous poem. Do I have to ask to link to someone’s website? No. The whole concept of linking between sites (or hyperlinking, as it was known when Sir Tim Berners Lee invented it) is how the internet works. I have linked to two separate websites in the course of writing this article. I didn’t ask their permission and neither do I have to. I am sending people to their sites to read the content on their servers, so I have done nothing wrong. I don’t have to ask them and I don’t have to tell them. 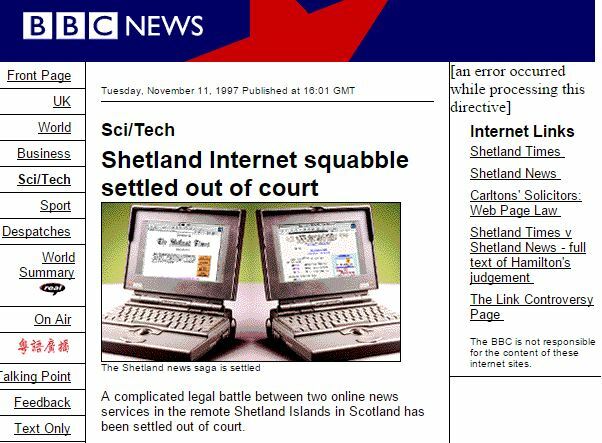 If you want a trip into historic geekville to find a precedent about the law for linking between websites, read about the case of Shetland Times v Shetland News from 1997. This was a historic case because it set a precedent, in the UK at least, for deep linking to content within a site. In the late 90s, many websites were built using framesets, so that branding and navigation furniture could remain static, while content would appear in a frame. The Shetland News website was incorporating deep links to frames articles within the Shetland Times website, and displaying them in its own frames. They appeared to be Shetland News articles but they were not. The Times sued to try to prevent its rival from deep linking to articles. The judge did not agree, but did rule in the Times’s favour under the passing off law. The legal ruling concluded that deep linking to any page of any website is the nature of the world wide web and should be allowed, as long as you do not try to pass off that content as your own. That was an early lesson in the dangers of framesets in website design.